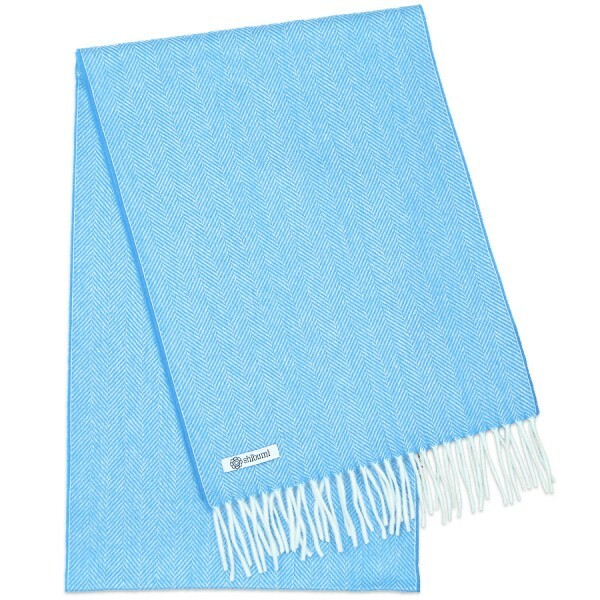 Product information "Cashmere Herringbone Scarf - Sky Blue"
Our scarfs are manufactured in a small workshop in Germany, in a firm that has been in the owner’s hand since its founding more than 100 years ago. This experience and passion for the product results in an incomparably beautiful product: an ideal partner for Shibumi. Related links to "Cashmere Herringbone Scarf - Sky Blue"